The Pearl of Seneca Lake Bed and Breakfast is located in the heart of the New York State Finger Lakes Region, which offers a variety of activities for everyone. The sports enthusiast, the wine connoisseur, the nature lover, the arts and crafts explorer, the music lover, and the romance seeker will all be satisfied in this setting. Perfectly situated for wine tours in the Finger Lakes, we are located in the middle of the Seneca Lake Wine Trail, and minutes from the Keuka Lake and Cayuga Lake Wine Trails. Below on this page is a summary of what’s going on at the Seneca, Keuka and Cayuga Lake Wine Trails, as well as a list of wineries, breweries and distilleries near our B & B. 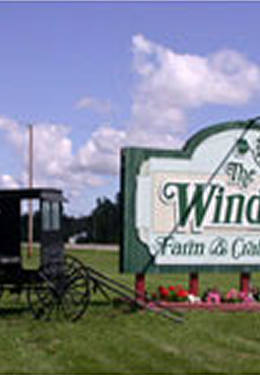 The Windmill Farm & Craft Market is New York State’s first and largest rural market, featuring more than 175 vendors. Now in its 33rd. season, it’s open every Saturday from 8:00 AM till 4:30 PM from the last Saturday in April through the second Saturday in December, as well as Memorial Day, Independence Day and Labor Day. Here you’ll find everything from hand-crafted furniture, quilts and home-baked breads to antiques, collectibles and fresh produce, many provided by local Mennonite families. It features free parking and admission and is located on route 14A, about 9 miles from The Pearl of Seneca Lake Bed and Breakfast. Watkins Glen State Park is the most famous of the Finger Lakes State Parks. Visitors can walk the gorge path that winds over and under 19 waterfalls overlooking the gorge. It is located on route 14 in Watkins Glen, NY, 12 miles to the south. Other nearby state parks include Sampson State Park on the east side of Seneca Lake south of Geneva, and in the Ithaca area: Robert H Treman, Allan H Treman, Buttermilk Falls, and Taughannock Falls State Parks. Taughannock Falls has an incredible drop of 215 feet and is one of the highest falls east of the Rocky Mountains. Watkins Glen International is North America’s premier auto racing facility, and is New York State’s only location for the NASCAR Sprint Cup Series each August. Click the “Glen Race Track Schedule” below to see the schedule of current events at the track. For stock car / modified racing, Outlaw Speedway (formerly Black Rock Speedway) is located 3 miles to the west in the village of Dundee. The races are held on Friday nights. The season runs from April through October. Note: The “newyorkwines.org” website has a “New York’s Great Grapes” page with descriptions of the grapes and wines across New York State and the food pairings to accompany them. We found it to be very informative. Click on the image below to link to the page. * These events are 3-day weekends: Friday – 1-5PM, Saturday/Sunday – 10AM-5PM. For tickets, click on “Trail Events” at the Seneca Lake Wine Trail website. For tickets, check “Signature Wine Trail Events” at the Keuka Lake Wine Trail website. * These events are 3-day weekends: Friday – 1-5PM, Saturday/Sunday – 10AM-6PM. 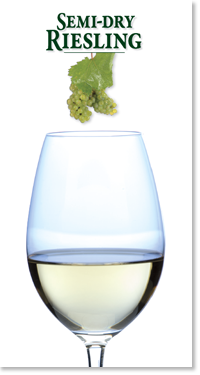 For tickets, click on “Events”, then “Wine Trail Events” at the Cayuga Lake Wine Trail website. The following wineries are located on the west side of Seneca Lake, to the north of our B&B. The numbers in parentheses indicate the distance in miles. The following wineries are located on the west side of Seneca Lake, to the south of our B&B. The numbers in parentheses indicate the distance in miles. The following wineries are located on the east side of Seneca Lake. The numbers in parentheses indicate the distance in miles from our B&B. The following wineries are located to the west of us on Keuka Lake. The following wineries are located to the east of us on Cayuga Lake. The following wineries are located to the west of us on Canandaigua Lake. The Watkins Glen Race Track is 15 miles to the south. Below is a listing of 2019 events at the track. 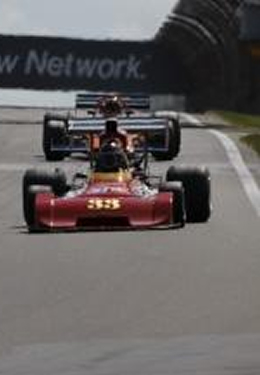 For tickets, click on “BUY TICKETS” at the Watkins Glen Race Track website. In each entry, click on the restaurant name to bring up their website. The Corning Museum of Glass is a world-renowned glass museum, located in Corning, NY, about 30 miles to the south. Here you can watch and even experience glassmaking, see a number of seasonal exhibitions, and shop at any of the 8 boutiques. At the Walk-in Workshop, the Museum’s hands-on glassmaking program, no experience is necessary. The Museum is open 9AM – 5PM daily. While in the Corning area, you can also visit The Rockwell Museum of Western Art. The museum includes dynamic exhibitions from both the American West and Native American sources. In the adjacent Cantina, you can enjoy mouth-watering southwestern cuisine. The Glenn H Curtiss Museum near Hammondsport on Keuka Lake is a must-see for plane and motorcycle enthusiasts. Guests can enjoy an invaluable collection of memorabilia from the early days of aviation as well as the history of the Hammondsport area. A short movie in the 75-seat theater recounts Curtiss’s life and experience. In the Restoration Shop, guests can chat with the volunteers as they restore original aircraft and create new reproductions. Just a short drive south of us, you can enjoy the National Warplane Museum at the Elmira-Corning Airport, where you can see many early warplanes on display, and even take a vintage airplane ride! The Finger Lakes is also a great area for colleges and universities. Cornell University in Ithaca is an Ivy-League college, which has been described as “the first American university.” Close by is Ithaca College (shown in the photo), which was founded in 1892 as a music conservatory and has now expanded to a full liberal arts education. In Geneva (25 miles north of us), Hobart and William Smith Colleges provide Bachelor of Arts and Science degrees and Master of Arts in Teaching. Less than half an hour away from us on Keuka Lake is Keuka College, which offers 34 bachelor’s degree majors, and 4 masters’ degree majors. On the left above is a group of local Mennonites walking home from church. On the right is one of the many horse-and-carriages (along with bicycles) that are their sole means of transportation. Yates County has a very strong Mennonite community, which came here from Lancaster County PA, in the mid-seventies. We have a very rural setting, which is ideal for their way of life. The community here includes 6 churches and 27 one-room schoolhouses. 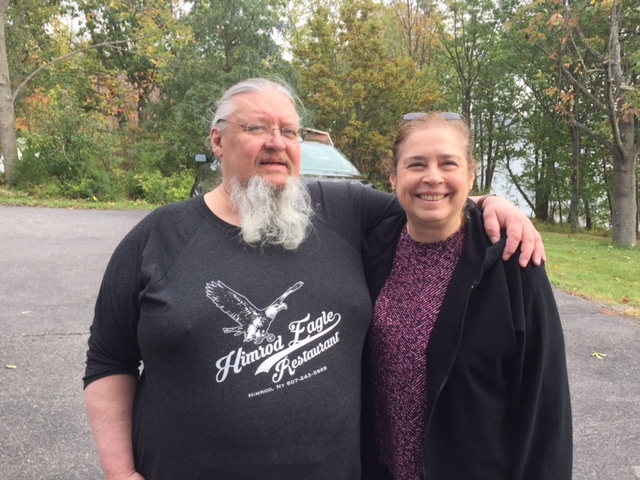 The guests at The Pearl of Seneca Lake Bed and Breakfast enjoy shopping at the Mennonite quilt shop, bulk food grocery stores and furniture/woodworking shop.